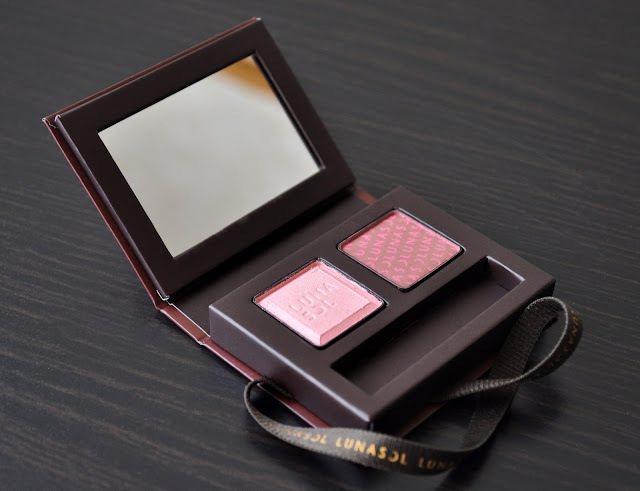 Lunasol's January 27th, limited edition, Valentine Collection was a mini magical release; perfect for its intended holiday, perfect for spring as well as fall. Included in the collection was the Duo de Chocolat Eyes, in EX04 Chocolat Fraise, and the Melty Chocolat Lips, in EX04 Chocolat Fraise. I own all three of the Melty Chocolat Lips, and two of the three Duo de Chocolat Eyes from Lunasol's fall 2015 collection. Now, I wish I had purchased the other Duo de Chocolat Eyes because having an uneven number of these is causing my OCD to flare up. The small brown box has a decent sized mirror, and an attached elastic band, that wraps around opposing corners, to secure the palette. I love how the packaging resembles a chocolate box. Both products have a delicate, sweet cocoa fragrance. However, the duo seems to be losing its scent. The EX04 Chocolat Fraise duo comes with a deep, rosy-brown with a smidgen of mauve matte, and a warm, yellow-based, rosy-pink semi-iridescent shimmer. Upon swatching, and during application, I was very impressed with the pigmentation of the two, especially the semi-iridescent shadow. If you're familiar with Japanese shimmer shadows, you know shimmer shadows can be glitter bombs in disguise. Buttery and silky smooth, both eye shadows apply, and blend out, extraordinarily well without any patchiness; they also wear flawlessly throughout the day. The formulation of Lunasol's lipglosses are some of my favorites. I wish the brand would stop teasing me with these limited releases,and finally make the Melty Chocolat Lips permanent, because they're stunning in, both, look and feel. EX04 Chocolat Fraise is a warm, brownish-rose. 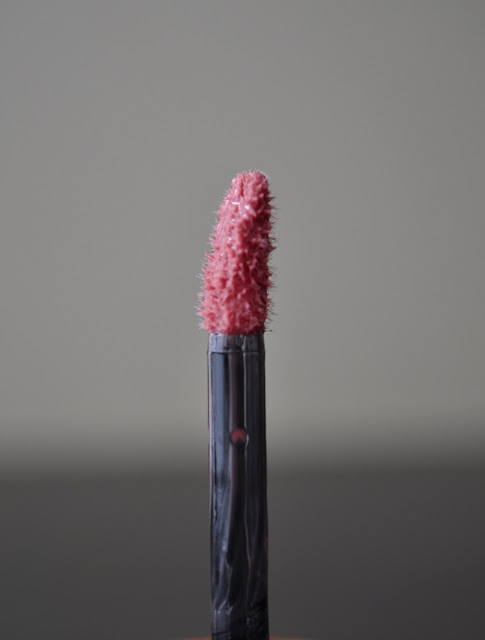 With a slightly thick consistency (without the tackiness), I love the slick application of this lipgloss. They feel extremely lush, comfortable, and hydrating. Though my lips are fairly pale, I have used the Melty Chocolat Lips on more pigmented pouts, and the opacity is enough to conceal the lips natural hue, giving a beautiful wash of color and luscious shine. 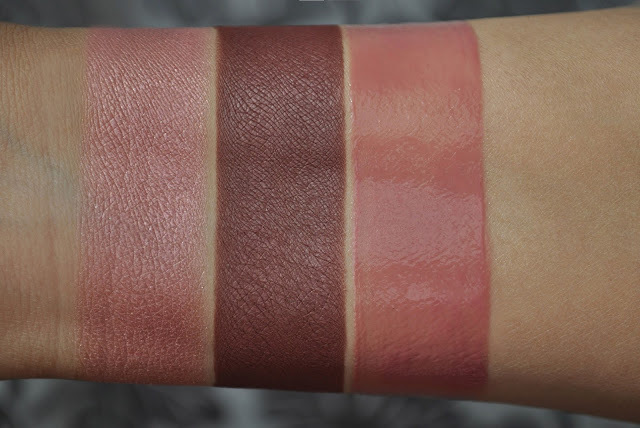 From left to right: EX04 Chocolat Fraise Duo de Chocolat Eyes, EX04 Chocolat Fraise Melty Chocolat Lips. This is the look I wore on Valentine's Day. Victoria beckham Estee Lauder Morning Aura Illuminating Creme. MAC Studio Fix Fluid SPF 15 in NC30. Tarte Amazonian Clay 12-Hour Blush in Exposed. MAC Extra Dimension Skinfinish in Definitely Defined (highlight). Laura Mercier Candleglow Sheer Perfecting Powder in 2. B & C Browlash EX Water Strong W Eyebrow in Grey Brown. Urban Decay 24/7 Concealer Pencil in NSA. Bare Minerals Well-Rested (to set concealer). MAC Paint Pot in Utterly Becoming (eyeshadow base). MAC Eye Shadow in Blanc Type (on the brow bone and inner corner). The warm, yellow-based, rosy-pink semi-iridescent shimmer shadow (patted on the inner three-fourths of the lid). The deep, rosy-brown with a smidgen of mauve matte shadow (blended into the outer v, crease, and lower lashline). Addiction Eyeliner Pencil in 09 Rabbit Hole. Helena Rubinstein Lash Queen Wonder Blacks Mascara Smudge Proof in Wonderful Blacks. MAC Lip Pencil in Whirl. 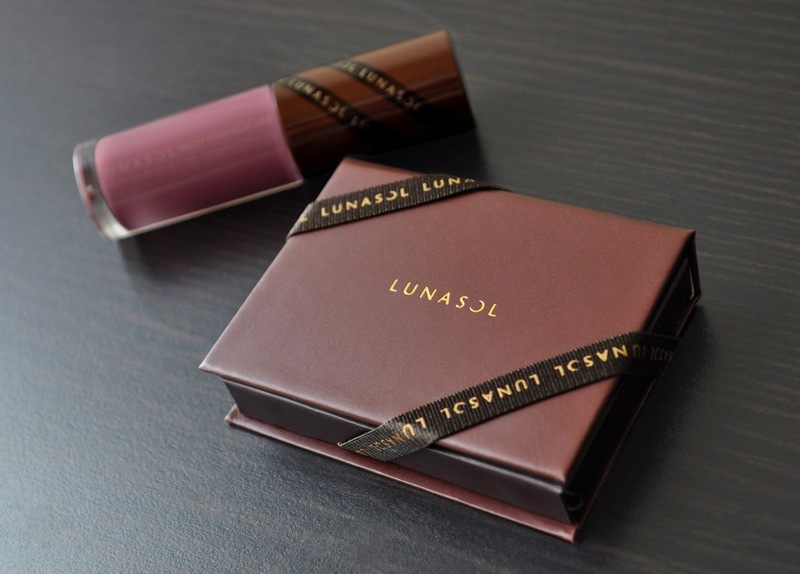 Lunasol Melty Chocolat Lips in EX04 Chocolat Fraise. The warm, yellow-based, rosy-pink semi-iridescent shimmer shadow (in the inner corner, and lightly dusted on the brow bone). The deep, rosy-brown with a smidgen of mauve matte shadow (all over the lid, blended into crease, and lower lashline). MAC Eye Shadow in Swiss Chocolate (used to blend out the area between the crease and brow bone). MAC Lip Pencil in Girlfriend (on the waterline). I'm wholeheartedly enamored with this collection. I knew I would love the deep, rosy-brown matte eye shadow of EX04 Chocolat Fraise and the lipgloss (my reason for buying both items). But, I equally feel for the rosy-pink semi-iridescent shimmer. In conclusion, this was a very well edited collection. The different finishes, and shades, make an attractive pairing with one another to create several beautiful romantic looks. Gorgeous! I was eyeing this collection early in the year, but in the end skipped purchasing as I'm not too familiar with Lunasol.. yet. The packaging just looked a bit cheap to me, although I also love the chocolate box look. Now I'm kind of regretting I didn't get this as the swatches (and your gorgeous face) look just beautiful. Especially that Valentine's Day look... damn you look stunning! Sorry for the extremely late reply. I just found your comment in the sea of spam I was deleting. I adore this mini set. Actually, the packaging wasn't all that cheap, and pretty sturdy. If you're still interested, I think I can find these products for you. Let me know. Again, we have the same taste in shades Anna. I truly love both of the products. I fear the day I use them up.